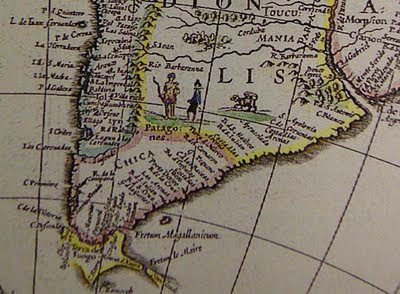 Detail of a 1635 Map Theatrum Orbis Terrarum. 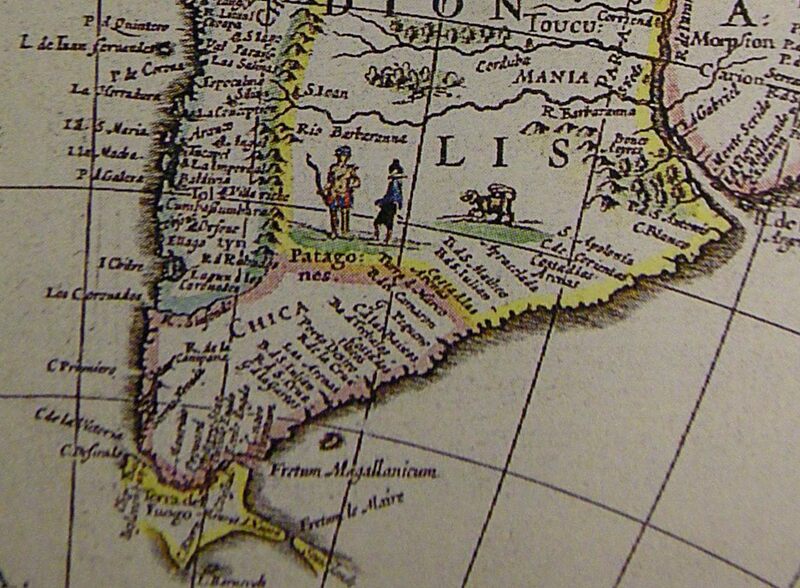 This is a small part of the 1635 map Theatrum Orbis Terrarum, in which two Patagones can be seen. Note that Patagonia was named Chica; this intrigued me, so I have done a little research on this matter and posted Here my findings. Notice the strange animal to their right. It has a long fluffy tail, and seems to be carrying its young on its back. Could it be a Succarath? See my previous post on Succarath Here.